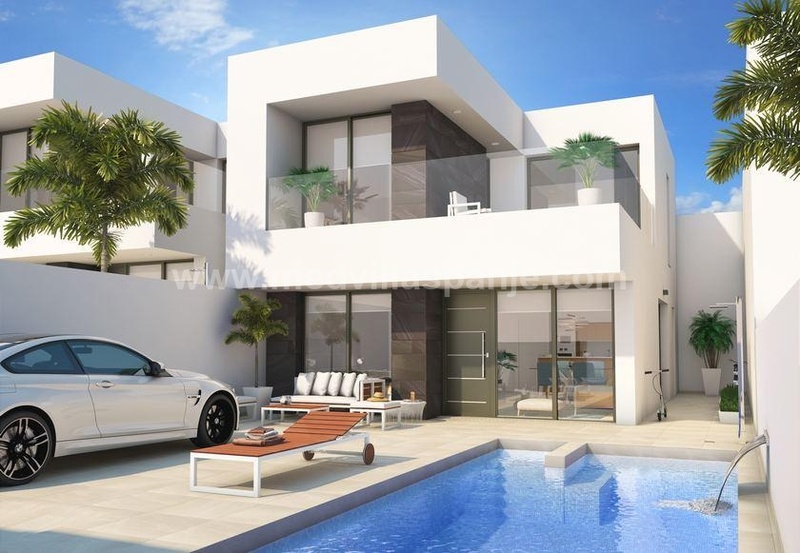 For sale Los Montesinos - This new development near Los Montesinos consists of 11 detached luxury villas with private swimming pool. The available luxury villas are all equipped with three bedrooms and three bathrooms built on two floors. On the ground floor you already have two bedrooms, one of them with bathroom, open living and dining room and a fully equipped modern kitchen. On the upper floor is the third bedroom with bathroom en-suite and a dressing room. This floor has two large terraces. The garden includes parking space with electric gate and a private pool.